DLOC - Discount for Lack of Control - an amount or percentage deducted from the pro rata share of value of 100% of an equity interest in a business to reflect the absence of some or all of the powers of control. DLOM – Discount for Lack of Marketability - an amount or percentage deducted from the pro rata share of value of 100% of an equity interest in a business to reflect the absence of marketability. The two discounts are not taken together but seriatim, one after the other. Therefor a 15% DLOC reduces a $200 share value to $170 and a further DLOM of 10% reduces the value to $153. The historical payment of dividends and distributions. 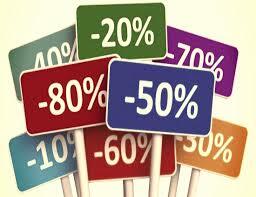 There is little empirical evidence as to the level of discount for minority interests in the marketplace. Takeover premiums of publicly listed companies are often used as a base for measuring the discount for minority interests, however, minority interests in public companies have much greater protection than private companies and public companies have a greater pressure from the market to perform and declare dividends. ← Why you should always have a business valuation before buying a business.